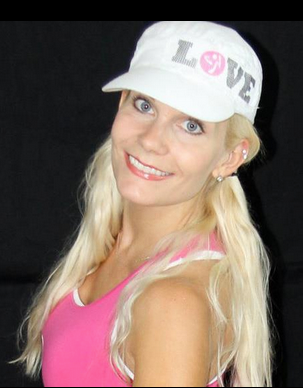 Annette Kokkola-McLean is a Licensed Zumba®, Zumba Toning and Zumba Kids Instructor with a passion to share the joy of dance with anyone who steps into her fun-filled classes. With background in Latin dance and a growing interest in a variety of music styles and dance choreography, Annette knew immediately what to do when she discovered Zumba in December 2008. She would soon obtain her Instructor’s License for this exhilarating and always growing and evolving dance fitness program. Annette received her License to instruct Zumba in July 2009, and began instructing at several local gyms and cultural center ballrooms, as well as holding her private lessons on the side filling local basketball courts in doing so. With a growing following, she now leads her six or more weekly classes in Danbury CT. Her training includes: 2009- Zumba Instructor Licensing, 2010 Zumbatomic (now known as Zumba Kids) Licensing, 2011 Zumba Toning Licensing. “Zumba incorporates aerobic exercise, muscular strength exercise and Interval training. Zumba® Toning incorporates Zumba Toning Sticks to add resistance to the workout using dumbbell like weights filled with sand. These sticks are much better used in the program than regular dumbbells, because in the maraca-like toning sticks, the weight moves with you and is safer for the joints rather than dead weight. Because of these training techniques, participants will see results such as toned muscles, controlled blood pressure, reduced body fat and of course improved physical appearance! The classes will also improve balance and posture, reduce stress levels and increase flexibility and range of motion. Zumba is designed for everyone! Participants at any age, any fitness level, or any background can start Zumba right away. Zumba’s basic steps formula makes it easy for all to follow, yet challenging enough with more advanced modifications to keep even the most enthusiastic dancers and Zumba-Vets on their toes! You will leave class happy, feeling great and looking forward to the next Zumba class! Welcome! Oh, and did I mention you burn HUNDREDS of calories in our one hour classes!” Exclaims Annette. Hope you enjoy your journey in Zumba with me! 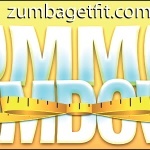 By visiting my site, you are already on your way to the Zumba Transformation; a new, healthier, happier You! Once you begin the Zumba program you will soon after begin to see a positive change in your attitude as well as your body. I am looking forward to sharing this experience with you and guiding you along the way to the best of my ability. Welcome to Zumba. Come get Fit with Zumba Get Fit! !